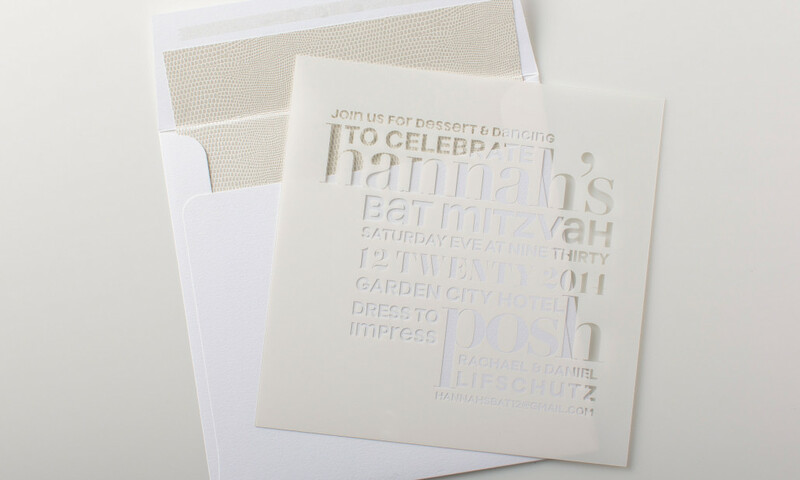 This minimalistic, white bat mitzvah invitation is printed all over in white ink on clear plastic. 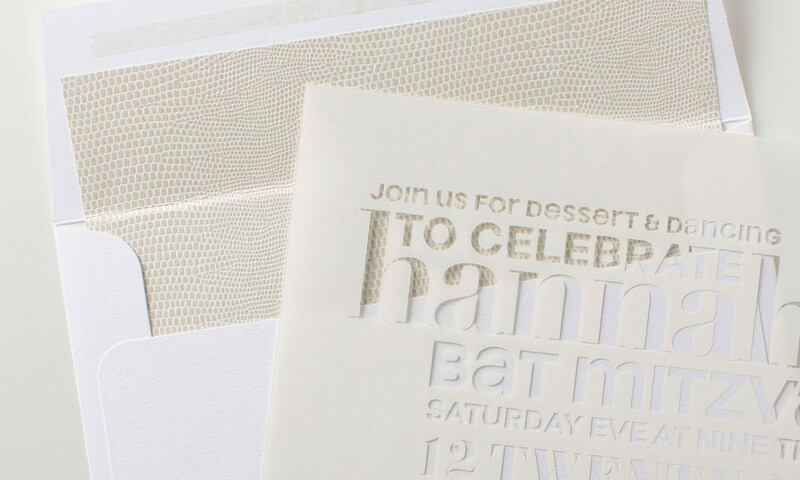 Coordinating white envelope and white lizard liners create a complete set in various shades of white. This set can be customized with any of the colors from our palette to create a entirely different look.